Those of you who are experienced WordPress admins have used phpMyAdmin and command-line queries to interact with your database. Plugins such as ARI Adminer can also help you interact with your database more conveniently. This particular script works with MySQL, PostgreSQL, and SQLite databases. 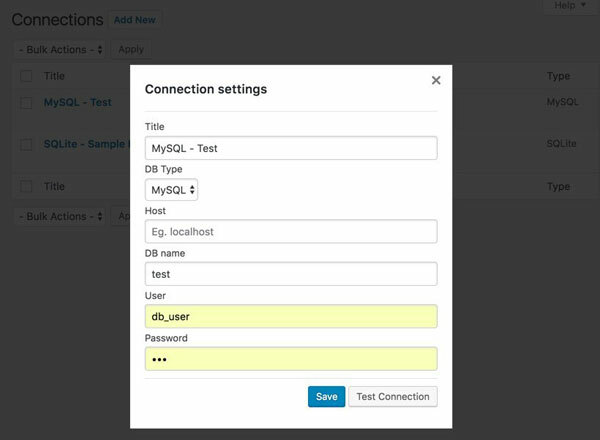 ARI Adminer makes it easy to maintain database connections by allowing you to save parameters. It has Simple and Advanced modes, in which you will be able to perform higher-level data manipulation. Thanks to this, you will be able to create dump, import/export data, and perform other common operations. ARI Adminer connects to your WP database automatically, so you can get started faster. Access to it can be limited to user roles that you prefer.